On morning I was walking fast in the damp cold between the nature center at Howard County Conservancy’s Nature Center and my car. 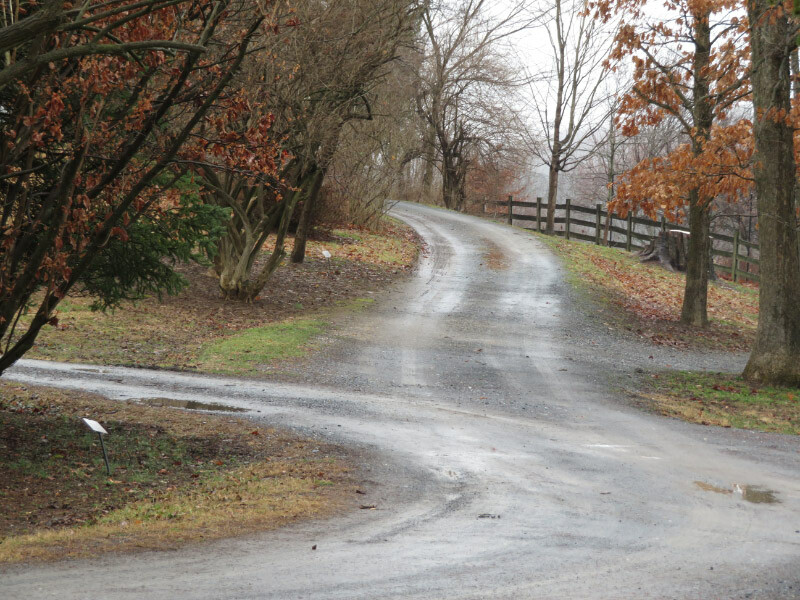 I snapped a picture of the drive – complete with puddles. There was something moving in the mulch beside the road. I noticed the movement first and then realized that it was lighter than I expected a squirrel to be…but the zoom of the camera confirmed – it was a squirrel. I wondered if it’s lighter color would make it harder for it to survive. It did seem to stand out in the winter scene – not good if a predator notices.